Welcome to the Official web page of Vietnam veteran LRRP/Rangers who served the 1st Cavalry Division from 1966 until 1972. We proudly served our country along with the 1st Cavalry Division as members of LRRP Det. 191 MI, LRRP Det. HHC, Co. E (LRP) 52nd Infantry (ABN), Co. H (Ranger) 75th Infantry (ABN), or HHC Det. 10 (Ranger) of the 1st Cavalry Division (AM) during combat operations in the Republic of Vietnam. In 1972 H/75 was deactivated at Ft. Hood, Texas after the 1st Cavalry Division returned from Vietnam. 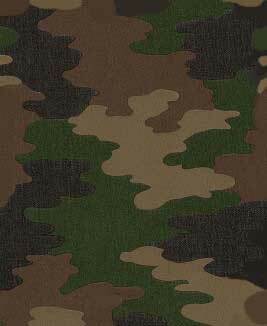 In 1974, our colors were reactivated and redesignated HHC 2d Ranger Battalion. Our unit lineage and honors are now carried proudly by 2d Ranger Battalion of the 75th Ranger Regiment. Fifteen years following the end of the war we had our first reunion at Ft. Hood in Killeen, Texas. We have had more than 18 reunions since 1987 all across America. UNIT ONLY Guestbook is ACTIVE! You will be able to access this photo viewing site by clicking on the link above (the yellow box with LRRP Legacy in it).